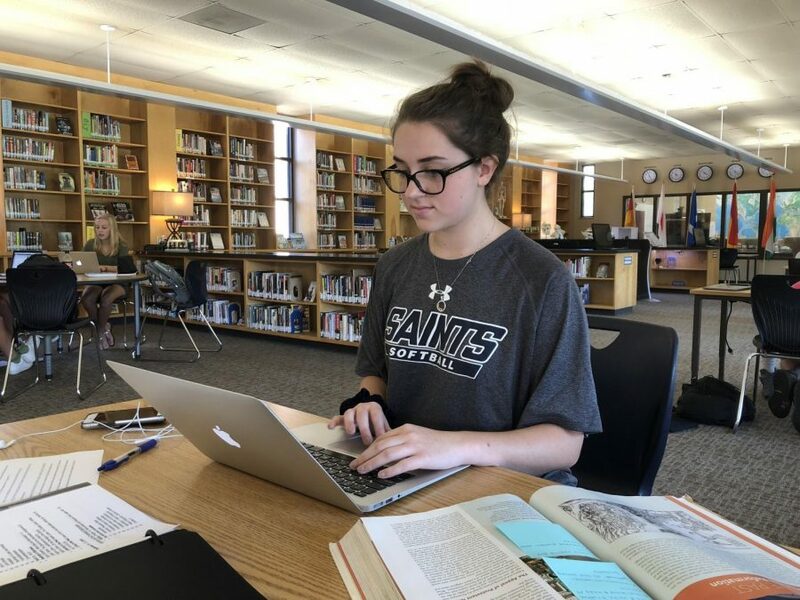 Writing papers, taking notes, video calling, and creating testing utensils like Quizlet are just some of the methods students today are using to pass their classes. In contrast to past generations of students, today’s generation has the ability to FaceTime a friend in order to cram for a test, easily make corrections to a paper minutes before it is due, or review extensive notes with someone across town. Although technology has contributed tremendously to the education system, students often become distracted by the constant intake of information on computers and phones. Snapchat, Instagram, and Spotify are common disturbances. The temptation of sending one last selfie to the group chat, stalking someone’s Instagram page, or listening to that new song you heard on the radio may prove too strong to ignore; however, as a student progresses through school, the ability to settle down and focus on work (using your handy electronic device) becomes easier. Despite the growing reliance on such devices, some students remain accustomed to working with more physical methods of note taking. Opposers of digital note taking argue that writing with a pen and paper allows the student to better retain information, a theory proven again and again to be correct. In spite of this, an article by Global News, a website dedicated to covering the world issues and the latest trending topics, claims that although this is true, taking notes on a computer allows the student to keep up with the teacher in class and write legibly. As someone with practically unintelligible handwriting, taking notes on a computer has proved far more beneficial for me. I am able to share notes with friends, collaborate on note taking, and write better. Although arguments can be made both for and against students’ use of technology, one thing everyone may agree on is that there is no possible return to the days of handwriting papers or scrambling to find notes last minute.